Back in July, before the insanity of the wedding, we harvested some honey. It was really exciting since we've had the bees for 2 years, but the hive was not strong enough to take any honey, until this summer. Mike started by suiting up, (me too), and brought a cart, along with a homemade comb hanger thingie. 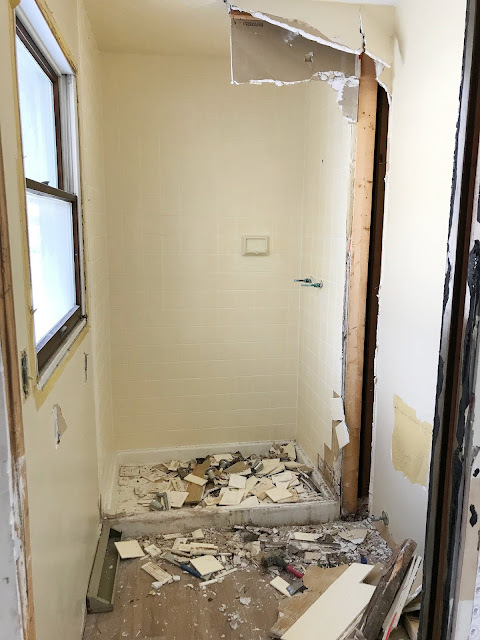 This way he could remove combs, switch them around, and pick the best for the honey collection while safely hanging them to the side. We ended up taking 2 combs, (not necessarily the ones above). 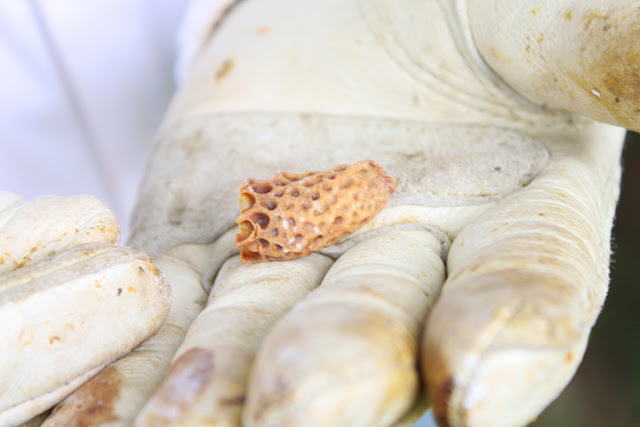 What we were looking for were combs with a majority of the cells filled with honey and capped. You can see some caped honey cells in the photo above in the top right hand corner. The orange filled cells, (seen in towards the center of the comb) are filled with pollen. We realized we had a very strong hive, (maybe a little too strong), because they were trying to create more queens. This can be a sign of swarming, which means the old queen leaves with about 60% of the worker bees. They create queen cells in preparation of this. These are the little dangling-looking sections on the bottom of the comb. It's not necessarily a bad thing, and it could just be that our hive is getting too big and running out of space. 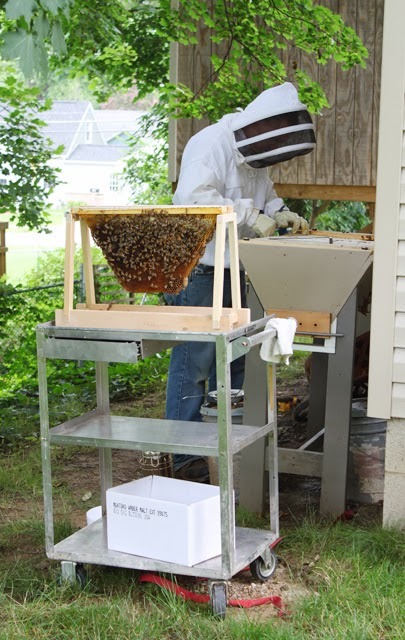 We've discussed switching to a langstroth hive which has the capabilities of expansion, unlike our top bar hive. Back to the honey extraction. We removed the combs we wanted and moved them away from the hive. Mike also fed them around the same time so that they would be drawn to something besides the honey of their combs. He let it sit out until all the bees had gone back to the hive. 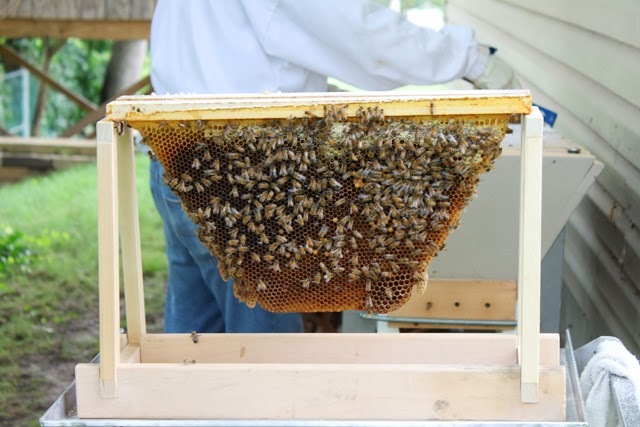 We did some research about collecting the honey from the combs, since our hive structure we actually remove the entire comb, (unlike a langstroth which has a base that the bees build off of). 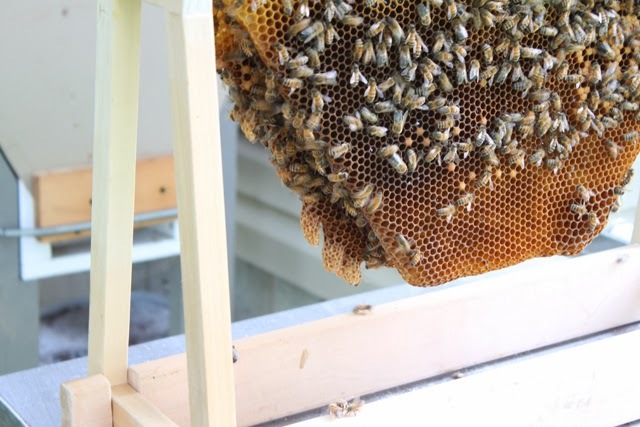 We found that placing the comb in a strainer, then cutting the comb up to break all the honey caps was the most suggested method. We placed the strainer over a large pot and let gravity to all the hard work. 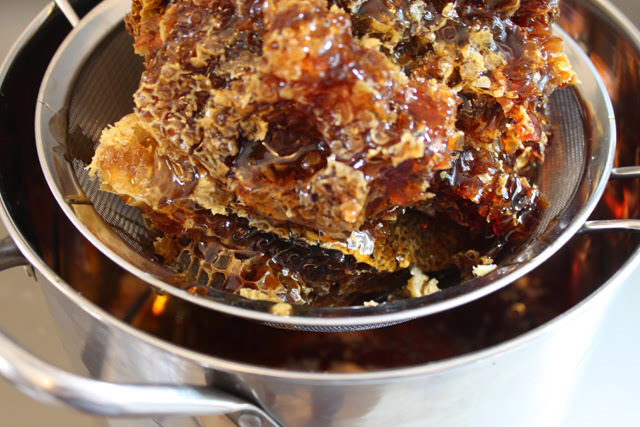 As the honey slowed down, we would use a knife to gently chop up more of the wax. Doing this process for both combs yielded about 1 1/2 gallons of honey! 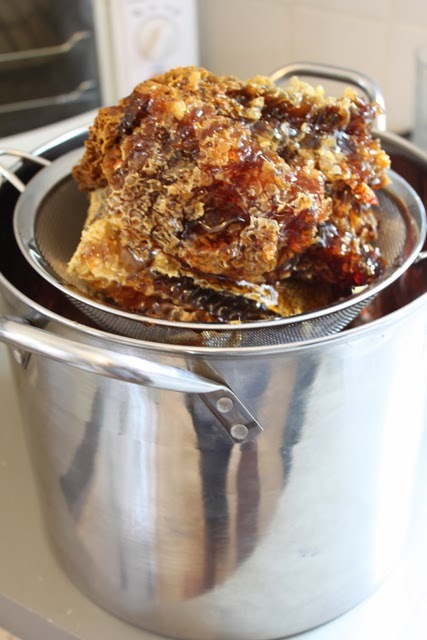 We poured the honey from the pot through a mesh bag, (wrapped around the strainer for support), which was much finer than the strainer to remove any small pieces of wax or anything else. We poured straight into mason jars and when we ran out of those, we used whatever jars we had on hand. 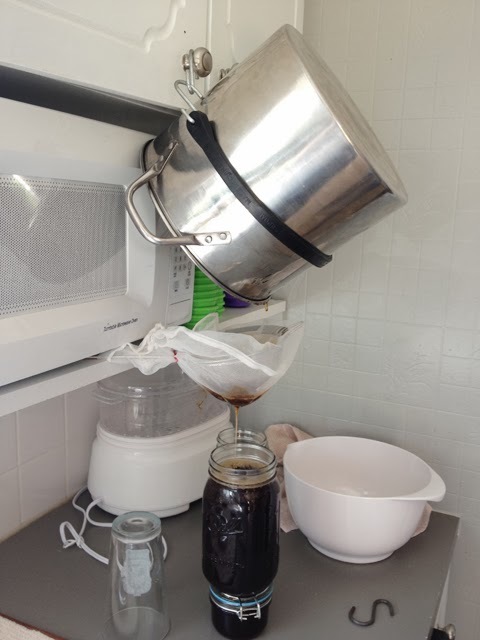 Mike was a little crazy about getting every last drop, (he may or may not have wiped up some honey that fell on the counter and licked it), that he set up a contraption in the kitchen so that we could get all the honey, but not force our arms to turn to jelly in the process. 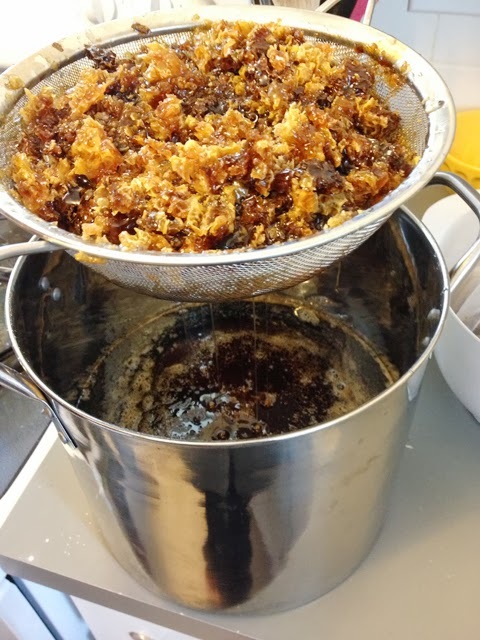 The overall process went pretty quickly, and we got so much honey! 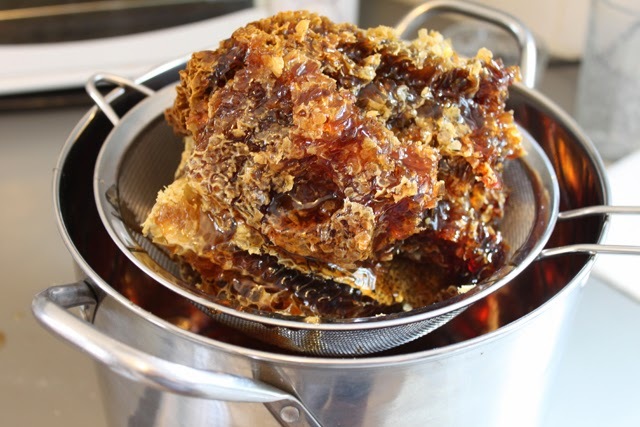 But the kitchen was left with sticky honey practically everywhere, probably the worst thing to have to clean-up. But in the end, we we're just so excited to have finally have gotten honey from our own hive that we really didn't care! Thanks for sharing some of your honey with us. It was delicious. I have seen the hives, but it was nice to see how you extracted the honey. 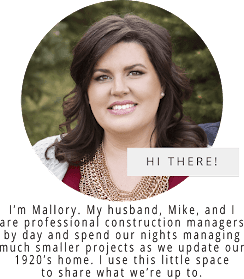 Keep those bees working!